Photographed in the dining room of our clients Sussex farmhouse. 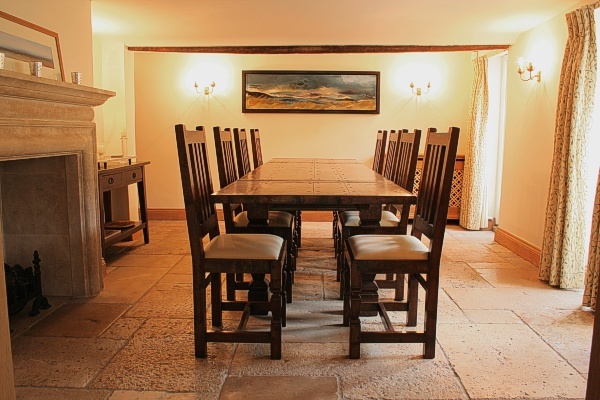 An Arts and Crafts style bespoke made oak dining table, shown here fully extended with both drawer leafs pulled out, and with matching upholstered seat side chairs. 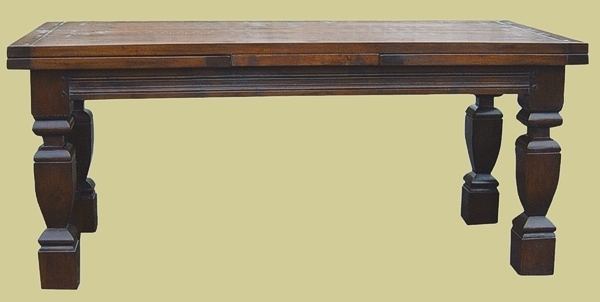 Note that the table has no stretchers at the bottom.